Brings me out in a cold sweat every time. The scoring criteria takes looks, easiness (for doing with 2 people) and general feel into account. 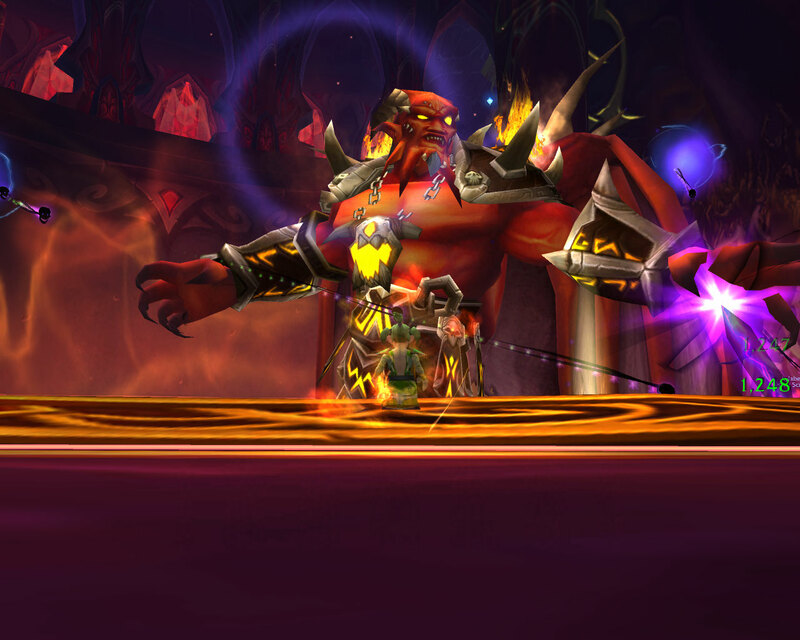 I can’t really place Darkheart Thicket because I haven’t done it on Normal, just on Heroic. With hindsight, it probably wasn’t the smartest Heroic to pick for running with just two people and it took us a couple of goes to figure out how we would deal with the nightmare/paranoia overlaps on the final boss. A paranoid tank and a silenced healer really doesn’t work well especially when there is only the souvenir raptor left undebuffed. That feeling when the Shade of Xavius finally bit the dust was the same hit of adrenaline I used to get when raiding, that feeling which physically effects you with shaking hands. I could potentially get addicted to it again. I don’t mean raiding per se, but perhaps Karazhan isn’t the impossible dream I thought it was. Slightly insanely the plan is now to see if we can finish running the other three dungeons we’re missing and before trying to complete everything on Heroic. Then perhaps this weekend actually branch out into playing with player controlled characters rather than just the souvenir raptor (awesome as he is). 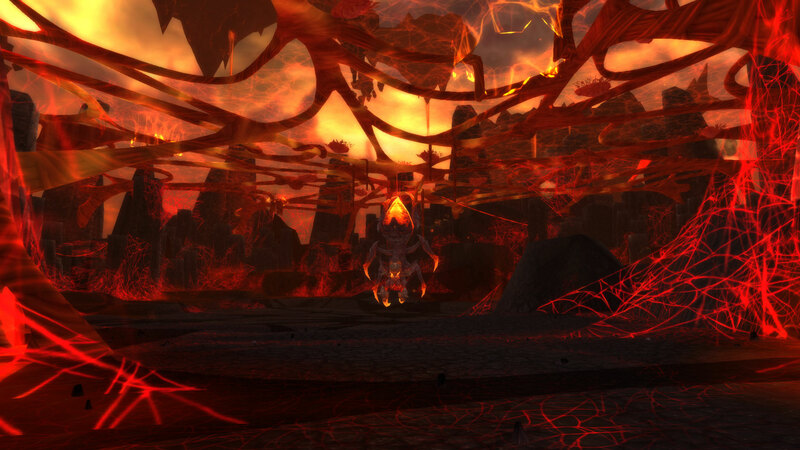 One interesting change brought about by the recent patch was the ease with which Cataclysm raid content has become accessible. So a Holy Priest and a Protection Warrior walk into the Firelands… it might sound like a bad joke but it turned out to be both profitable and interesting. I started off the legendary staff chain just because it’s there and then we began trying normal 10 man to see how far we could go. As it turned out, all the way to the end was the answer to that. I found myself with mixed feelings at the end though, the fights were far too easy given that five levels go, this was current content. I know some people could solo certain fights when it was current content but they were the exception not the rule. I barely had to do any healing whatsoever, instead just smiting away. We also didn’t have to bother with anything which could even vaguely be called strategy. In fact I’m not sure we could have failed regardless of what we did. Sure, the Heroic and 25 man versions might be much harder but somehow I doubt it. Running the Sunwell as two was a challenge even at the end of Cataclysm which made it fun, whereas was this was more walk in the park territory. 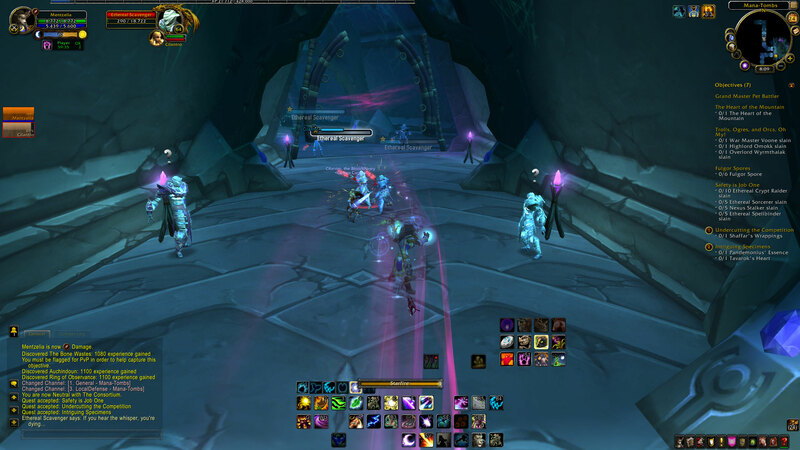 As a follow up, we decided to try the Dragon Soul again on 10 man normal and again managed with no real issues. We might have benefited from reading up on some of the fights before hand, especially the Spine of Deathwing encounter but at least Blizzard were kind enough to provide an achievement for those too lazy to do research. The lack of trash made the Dragon Soul a lot less profitable than the Firelands but it’s a far nicer dungeon from a visual perspective and really anything beats actually heading to the Isle of Giants and fighting Warlocks, Rogues and Hunters for Giant Dinosaur Bones. I suspect that Mr Harpy (Prot warrior) could easily have soloed both instances with perhaps the Spine of Deathwing being the only issue but with trial and error I bet that’s doable too. As a Holy Priest my mileage would vary, not convinced I have enough output for anything with an enrage timer but think some fights would be doable. So if you want to finish or start either the Dragonwrath or the Fangs of the Father quest lines now is probably a good time to do it. It took a while but I finally found a hook to make me enjoy leveling my little Worgen Druid. Ever since level 40 ish, we’ve been running every single dungeon as a two person group and so far, 32 levels later it’s been a blast. Not only has this helped me feel a lot more comfortable playing Balance (a spec I haven’t touched since Wrath) but I think this has helped crystallize my feelings towards the intended Proving Grounds change. Dungeons whilst leveling are too easy by far. We’re running a Prot Warrior and Balance Druid combo and haven’t had any issues even when I’ve accidentally thrown mobs at other packs whilst trying to pour a drink one handed. I know that I’ve played a Druid since vanilla and yes, Mr Harpy has tanked on a Warrior since Molten Core including 25 man heroic progression fights in the past but this isn’t about ability to play, we couldn’t fail if we wanted to. I’m not saying that will continue all the way to level 90 but we know that we can two man the first Pandaria dungeons because we’ve already done it at the right level albeit on different classes. Yes, it’s leveling but that is meant to be where you learn to play, having to expand your toolbox usage with every new spell you get and personally I don’t think it’s fair to set the bar so low below the level cap and then suddenly force players to jump through hoops in order to essentially run the same 5 man content just tuned harder. The game should be progressive, every 10 levels or so everything should get harder so you have to think about what you’re doing. However we know that with the ability to buy level 90s, if anything the lower levels will get easier not harder which is going to contribute to the issues we already face in group content. If you can either faceroll your way to 90 or hand over your credit card then yes that does mean that there will be some people who struggle in 5 mans either as new players or on new classes but them having obtained silver in test which can be learnt by rote without the random input of players is pointless. Without a challenge, there is no purpose… but that challenge should not be artificially inserted 99 levels too late and worse input in such a way that it doesn’t fully reflect on what you’ll actually be asked to do in a heroic dungeon. Why not just tune the normals correctly so that they require some thought and quite possibly some crowd control and then limit entry to the heroic versions to people who have completed the majority of the normals*. That way people will be familiar with said dungeons, will have obtained loot which will help them run the heroics and more importantly will have played with real people. 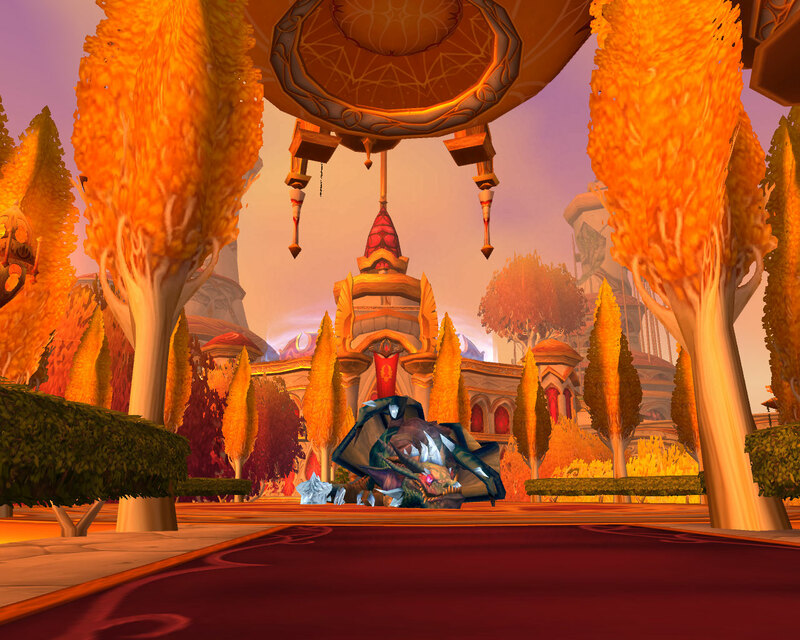 On our road to Northrend, we also took a brief detour to Karazhan to see how that had changed, given that Mr Harpy tanked him way back in the first few weeks of the Burning Crusade on a warrior with similar health to his new alt. Yep, a picture is worth a thousand words. The only thing which hasn’t changed is the lack of a mount in the loot. In fact I suspect whilst we stopped here and went back to doing 5 man content, the only fight we might found painful would have been Chess but since that is soloable even that would doable. 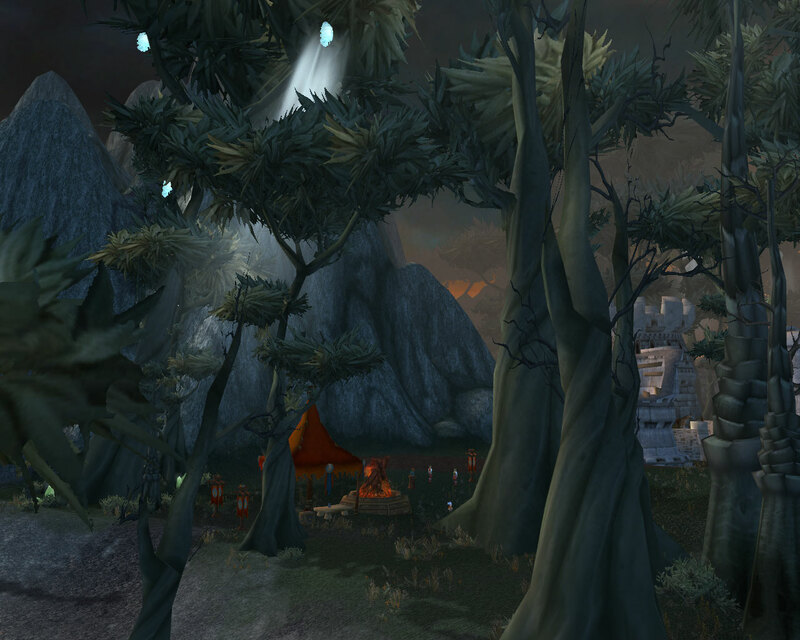 On a slightly less whiny note, I’d forgotten how beautiful the Old Kingdom dungeons were. Who needs a Garrison, I’m planning on living here. *I would have said every one but the random dungeon queue adds an annoyance factor to that. I’ve been slightly absent this week, work has been a little full on but hopefully from next week I’ll be back to a more regular posting schedule. One involving more words and a few less pictures but in the meantime…. Mr Harpy tends to operate on a policy of “if it’s kill-able it should be killed at least once just because” and although this has resulted in a few amusing deaths, it’s mostly been a rewarding little hobby. 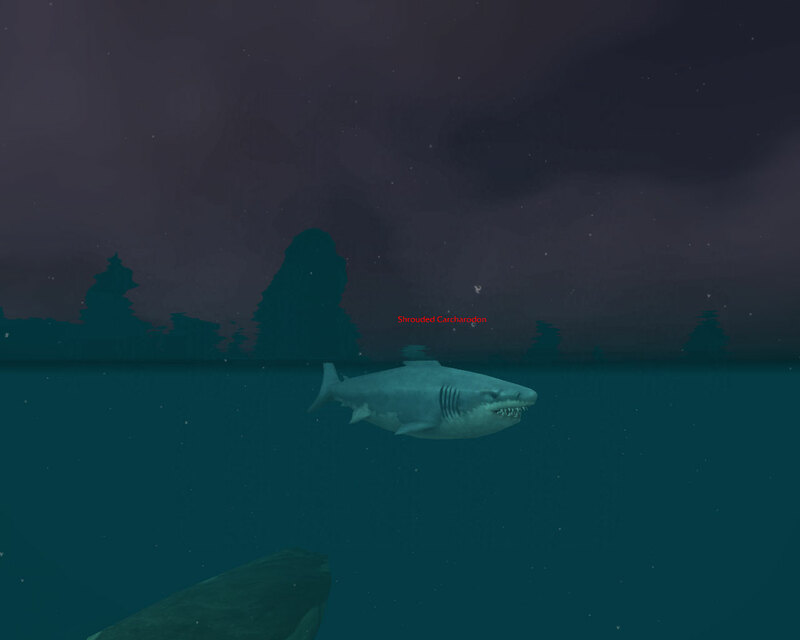 Now we’re both rather fond of sea-life, sharks and whales in particular so when we spotted these two swimming off the coast of Krasarang Wilds we knew we’d have to try and kill them. Our very first experimental attack, carried out in the first few days at 90 didn’t go too well as it turns out these chaps pack quite a punch. However with a bit of refining and a lot of running, the tide turned in our favour. The end result being a satisfying one although they don’t drop any loot to speak of. 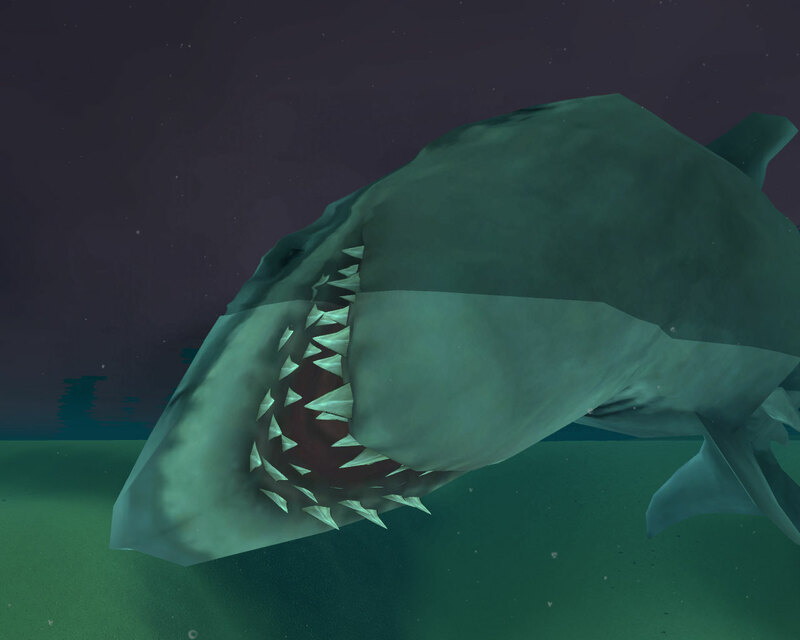 Next up, we’re going to try the same technique on the Whale Shark. As anyone who has read my scribbles for any length of time is probably aware, two gnoming (two personing doesn’t sound right and two manning is not particularly accurate) dungeons is something that my husband and I have done a lot of. Not only is it a challenge but it makes for interesting game play as we try and navigate around sticking points and compensate for the lack of other party members. I’m not sure why the Sunwell came up in conversation but it did and I have to admit that my original Sunwell memories are not the happiest but somehow I found myself talked into giving it a try. Back when it was fresh content, our then guild was locked in battle of wills with another guild on the server. We’d won the race to Illidan simply by staying up half the night but with the release of new content, the whole can of worms spilled open with a vengeance once more. The forums ignited and our GM became more and more bad tempered. Every time someone made a mistake, even if it was as small as pulling a trash pack by accident he erupted into screams of abuse directed not only at those responsible but the entire guild. However, by the time we stood here, I was looking forward to rewriting those painful memories with some happier ones. Dear old Kalecgos provided a bit of a challenge simply because Mr Harpy on his rogue was struggling to stay alive whilst I was in the portal. 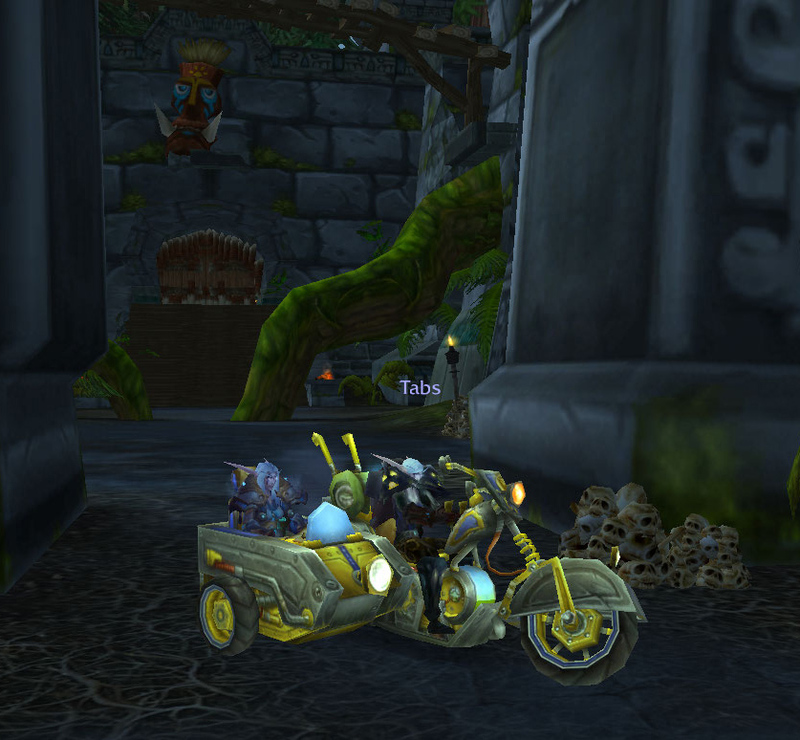 After a few attempts, I popped back to Stormwind and exchanged my Disc spec for a Shadow one which made it far easier. To say he was a challenge would be an understatement, bearing in mind we were attempting him as a Holy Priest and a Rogue. I have to say Power Word: Solace is amazing on fights like this, where you need to conserve mana for high damage phases but also need to dps. In the end we had the last laugh, he died just after I did. Aren’t Gnome corpses so pathetically cute? 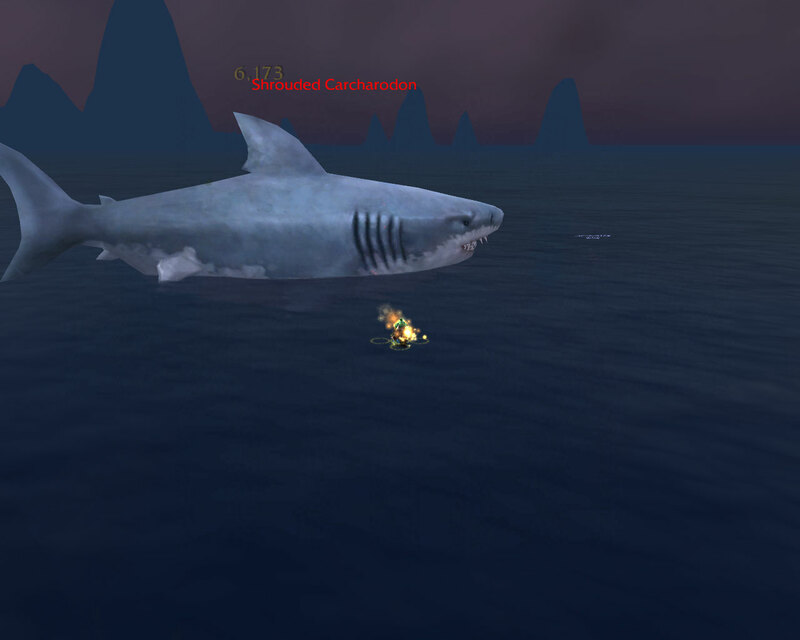 Felmyst was amazingly easy in comparison, I went back to shadow and we just dodged nasty green clouds and nuked her. The twins were a bit more of a challenge but not by a huge amount. This time I stayed holy and bounced around spamming Power Word: Solace and blowing kisses. The poor Naaru wasn’t particularly hard either and before we knew it, we were clearing trash up towards the big bad guy himself. 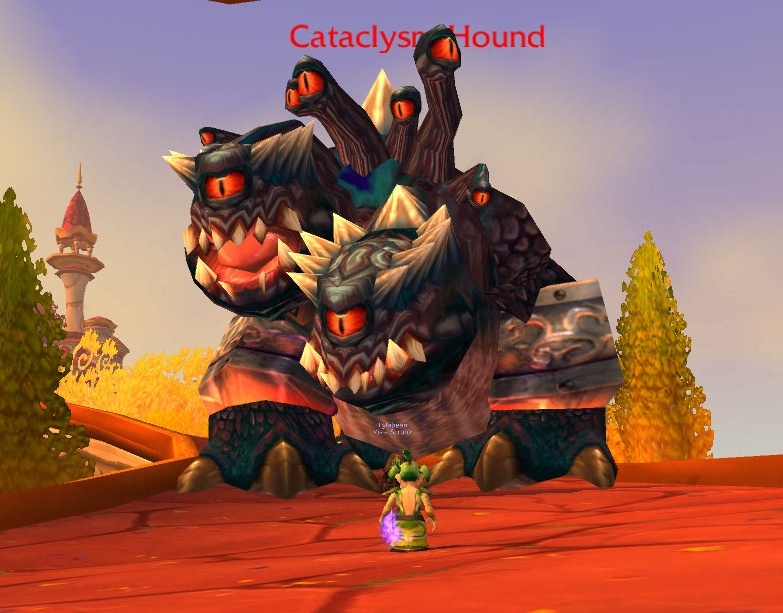 I wish Blizzard would make these dogs tameable by Hunters, of all the demon dog models this has always been my favourite with Chromaggus a close second. Compared to the first two encounters, Mr Demon was a walk in the park. I think that’s partly why I enjoy trying fights with less people than they’re designed for. The Kalecgos fight for example was at the time, perhaps the easiest fight in the dungeon but when there is only two of you, one wearing leather and one wearing cloth trying to tank demons and angry dragons it’s suddenly far more “interesting”. Next up, Sarth 3D. Now I know that the fight is definitely two mannable but whether it’s doable without a proper tank remains to be seen but I feel if a rogue can tank Brutullus he should be able to manage a whole bunch of angry dragons. Today’s screenshots are all influenced in some way by the Midsummer Fire Festival. Midsummer is one of my favourite festivals, combining as it does faster levelling for alts and a reason to visit far flung locations. Running around picking up flames on all my characters has given me lots of chances to visit old familiar places, taking pictures as I went. 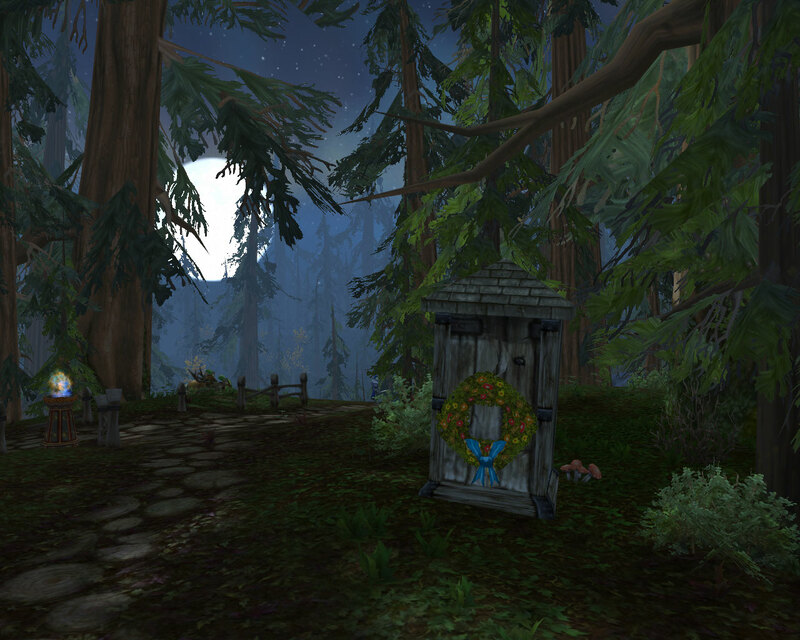 Winterspring – looking tranquil as always. 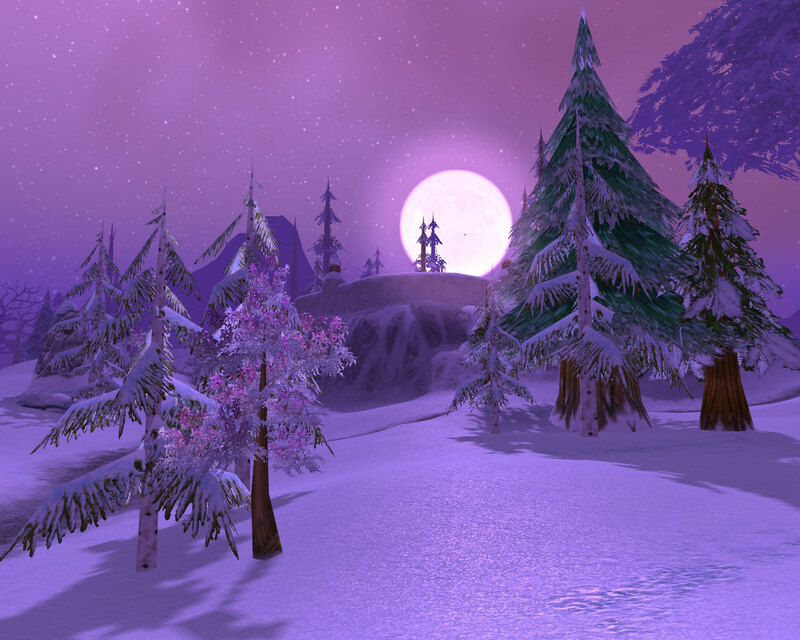 The Midsummer Fire Festival always seems out of place amongst the snowy landscapes though. 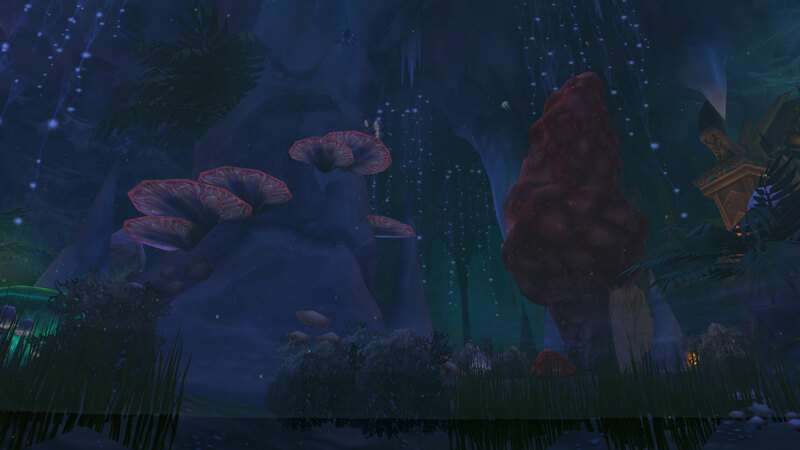 Bet Ahune would prefer it here to that damp cavern he currently spawns in. 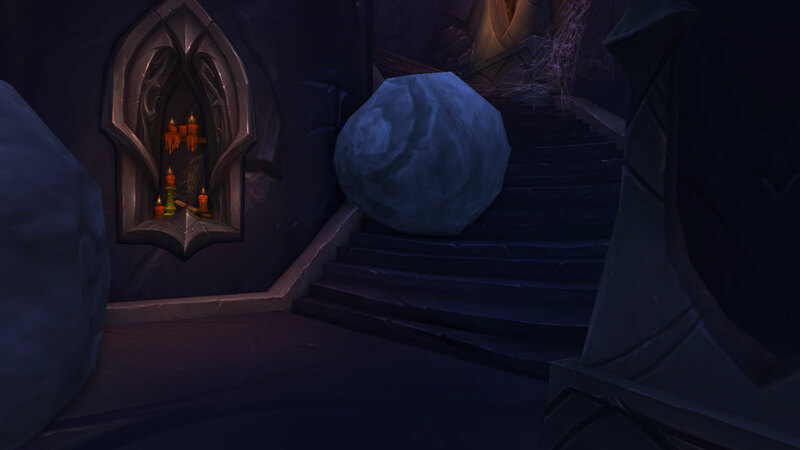 The Ice Stone wouldn’t melt in Winterspring, bad planning on his part really. Feathermoon Stronghold – looking mysterious and moody. 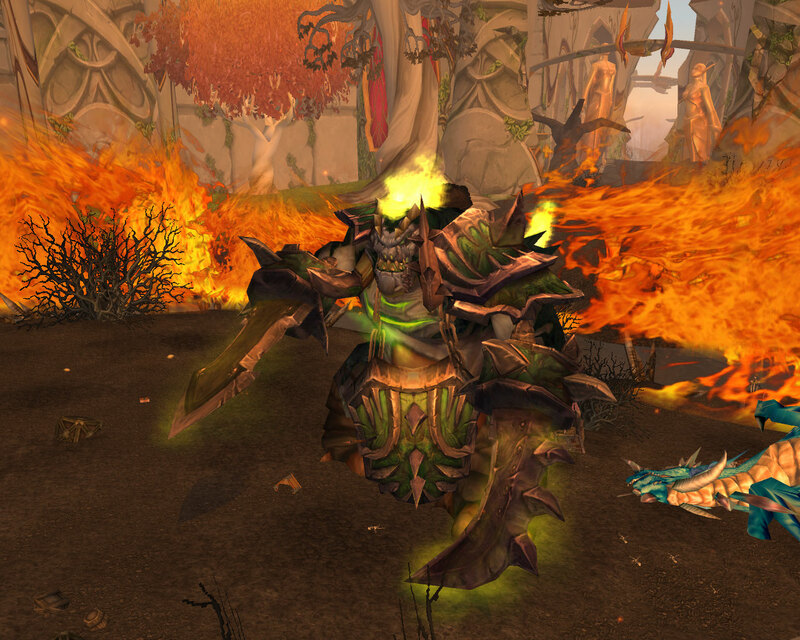 Terokkar Forest – Really they should light the bonfire on the bone wastes. I guess someone likes to live dangerously. 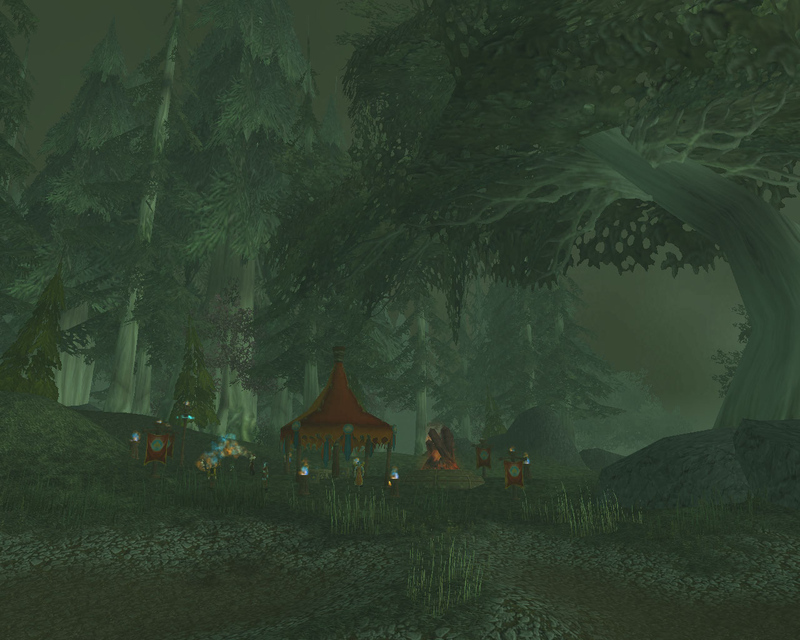 Grizzly Hills – a certain outhouse that any Alliance who have completed the Amberseed quest chain will remember with mixed emotions. Nice to see they dress it up for the festival though. Wonder if the blossom hides the smell? 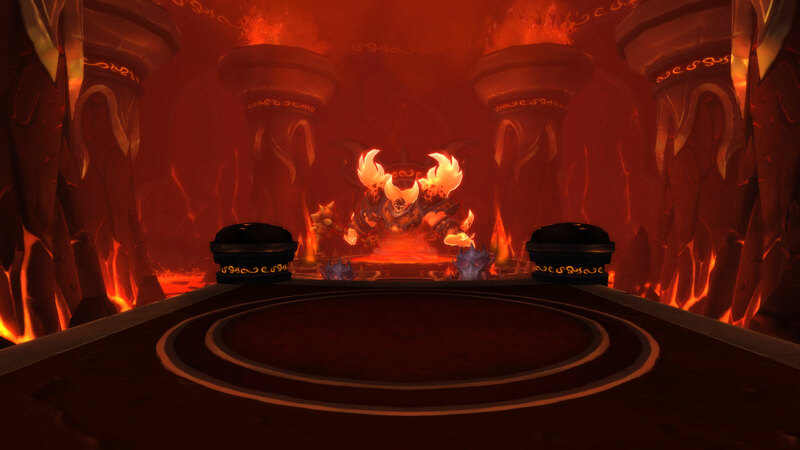 Given the fiery nature of this festival we decided to visit the hottest place on Azeroth, Molten Core itself. 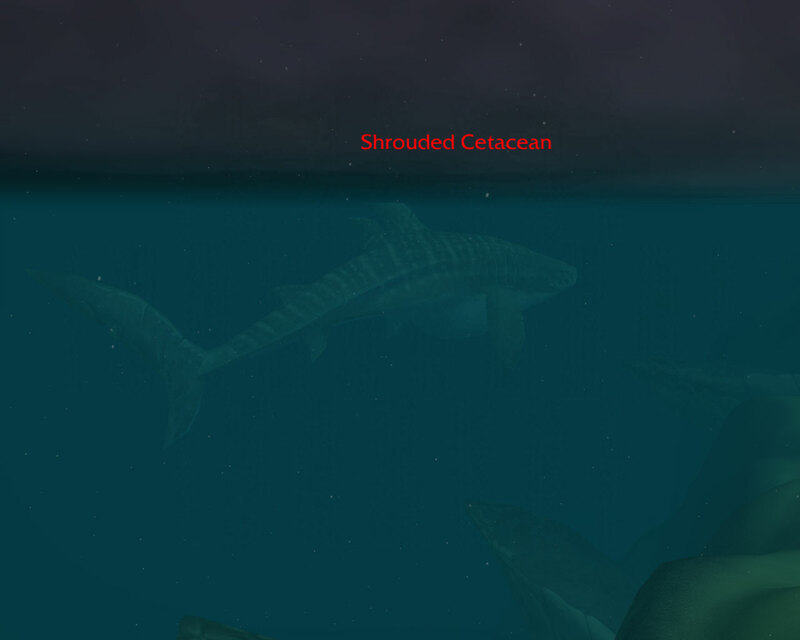 I haven’t really been back since Vanilla (a small trip 18 months ago to kill two bosses hardly counts) and the first thing I noticed is how small it seems these days. The second and perhaps scariest thing was that a disc priest and a feral druid now do the same dps as a 40 man raid did back then. Anyway, insects we may be, but it was too soon for Ragneros and down he went. He still didn’t drop my tier 2 pants though. The hardest boss for us was Sulfuron Harbringer. We were struggling on the dps front (stupid healers) until I remembered I had mana burn and then it suddenly became trivial. We did however both get the achievement which was fair enough for Tabby, after all that druid has only existed since March but my priest farmed Ragnaros for a 9 month period.. grrr. In which time I think my guild saw one pair of tier 2 pants drop, about as many priest pants as we got priest dresses from Nef in fact – random loot maybe random but it sure doesn’t feel like it when you get hunter/warlock loot for the 10th week in a row. Unless of course, you are a hunter or a warlock in which case, it’s random and well deserved. Finally, we have a spot of Dark Iron art. 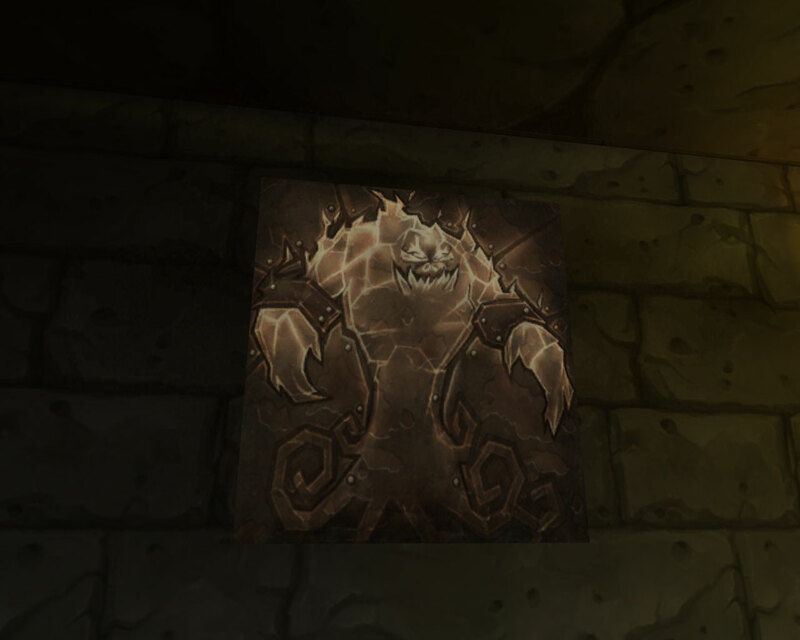 This beauty can be found hanging on the walls of Blackrock Depths. 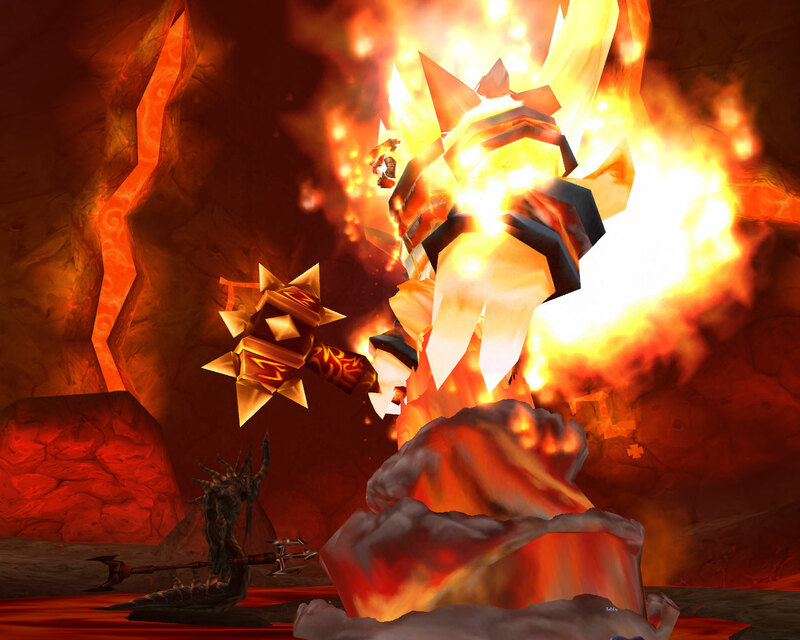 Happy Midsummer Fire Festival and may your loot bags drop scythes and mini-pets! The other morning whilst browsing my favourite mini pet site I learnt that the rather flimsy looking gates of Zul’Aman no longer needed a party of five to knock them down. Naturally being a rather squishy cloth wearing type, soloing was out of the question but what a hunter can solo, a warrior and priest can most certainly two man. So we loaded up the bike with supplies and snack food (might as well make a picnic out of it) and headed off to troll country. I really do feel Blizzard missed a trick by not adding a troll instance to Northrend. Icetrolls up to no good would have fitted in perfectly and would have been a lot more interesting to play with than the Faction Champions and tired bullied Yetis. Took around 15 hex sticks and the killing of 2 out of the 4 beast bosses, but with 10 minutes to go before the server shut down for some “emergency maintenance” I stopped rescuing random idiots and found the ultimate frog. So thats another mini pet ticked off the list. Although its reaching the stage where I’m just going to grit my teeth and start farming for the rest of them.